I know it’s seasonally appropriate in the cooler months to bring out the amber, wood, incense and leather perfumes. Maybe a healthy spritz of a decadent boozy vanilla. Yes I do it too. But sometimes I want to swim against the tide, to be swept away by summer memories in the vain hope that a little sunshine will be reflected in the wintery haze. This is when orange perfumes come out to play. The house we’re living in has a Bitter Orange tree by the front steps and in summer the scent from its blossoms is intoxicating. This is one of the smells that I’ll strongly associate with the South of France when we no longer live here and I yearn for the scent to return. The tree is bearing fruit at the moment but alas is blossom free. Orange blossom is one of those ingredients that just makes me smile. It’s happiness in a bottle. I love orange perfumes and the energy boost they bring as well as the heightened summer memories. I even love orange blossom water. These come about as a by product in the distillation process of the bitter orange blossoms. Italian brand Santa Maria Novella have a particularly beautiful version and the bottle is made of heavy glass with that rare mix of heritage (1612!) and quality. I always feel refreshed with a splash on my face as a pick me up in summer. I also have a spray version by Sanoflore, a French bio brand in a blue plastic spray bottle. This has more of a floral soapy quality, it’s not as special as the SMN version but it’s easier on the wallet and fits in the handbag for a quick spray when out and about. On a side note I’ve been watching Orange is the New Black so I have orange on the brain at the moment. It has taken me a while to get into this series and we’re not talking masterpiece TV here but it’s not bad and the characters are finally growing on me. Here are my recommendations for three must try orange centric perfumes to start exploring this category. This brand offers a contemporary take on the classic cologne genre with its ‘Cologne Absolue’, that offers a higher concentration of fragrance at 15%. 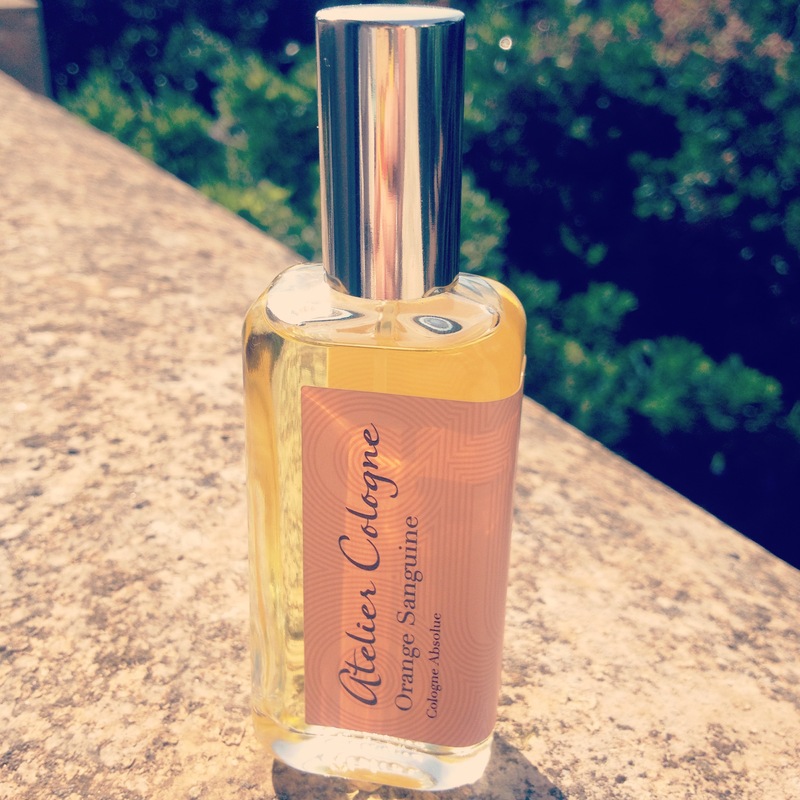 Orange Sanguine is from Atelier Cologne‘s Collection Originale range of scents. The opening is all blood orange and is juicy, juicy, juicy. It brings to mind freshly peeled oranges with the juice running down your fingers, dripping with goo and deliciousness. It is the sweet scent of blood orange but also the citrus reminiscent of orange peel. It is an incredibly gorgeous start to this fragrance and is definitely the best part for me and I want to respray it frequently. The development of the perfume doesn’t top the opening, mind you this is a hard act to follow. There’s a hint of spice that reveals itself and the dry down is very musky with a wash of what feels like a light amber. Orange Sanguine is photo realistic and comes across as refreshing and fragrant, however the sillage and longevity are not that great on me and it becomes a skin scent very quickly. So why do I say you must try this one? I know that this is a popular fragrance. It is talked about frequently on perfume blogs and discussion boards. Even though the scent fails to keep me interested for the long haul, the visceral prelude is still worth the price of admission. And my trick here is frequent respraying et voilà the juiciness returns. Kudos is due to Atelier Cologne for issuing 30ml bottles. When you’re a perfume junkie, it doesn’t take long to realise that you will never wear all of the perfume you have stealthily accumulated. It quickly becomes a pointless exercise to buy a 100ml bottle, even a 50ml is starting to push the limits of acceptability. A 30ml option is a great size for the perfume lover who is starting to build a collection. Atelier Cologne is widely available and has a global online presence. 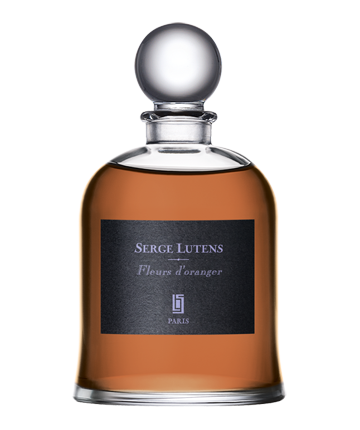 Another winner from Serge Lutens and Christopher Sheldrake. This perfume is simply a stunning rendition of the bitter orange tree blossom. It smells very similar to the one in the front garden so top marks to Christopher Sheldrake for capturing this aspect so well. This is not what I would call a happy orange perfume like Orange Sanguine, nor does it have the warmth or sultry vibe of Seville à l’aube. Fleurs d’Oranger offers a more sophisticated take on orange blossom, and is not a sweet or cloying perfume by any means. There is an indolic feel which for me adds depth and intrigue while removing the sweetness that often prevails with white florals. The opening citrus burst makes for a slightly bitter, medicinal effect that is not unpleasant but steers away from the sweetness that one might expect. The citrus mixed with the white florals makes for a heady combination, yet there is a certain level of reserve in its charm. It is a fabulous rendition of not only the bitter orange blossom but also of its white floral bedmates jasmine and tuberose. When I wrote about Tubereuse Criminelle I said the dry downs were similar and yes it’s true. There is a creaminess that is familiar and in this stage the tuberose really shines. The jasmine smells natural, not a dolled up to the nines version with that cheap, screechy feel. A smidgen of spiciness is evident in Fleurs d’Oranger but is lightly done and not overpowering. Now apparently cumin has a notable presence in this perfume, yet I can’t smell it in an overt way. I have read that the scent has been reformulated, so if you have an older bottle with the Palais Royale logo the cumin may be more pronounced in this version. I have tried Rubj from Vero Profumo and could definitely smell the cumin loud and clear, so I don’t have a problem with identifying the note. I need to add that I would have included Rubj in this list of orange perfumes to try but I drained my sample, so when I get hold of another one I will definitely review it. It is drop dead gorgeous. Fleurs d’Oranger is a perfectly styled arrangement. A stand out feature of this perfume is that it comes across as very natural and it’s one of those perfumes that releases beautiful throws of scent from time to time and you wonder who is smelling so great and finally realise that it’s you. The longevity is 4 hours plus and the sillage is moderate to strong, definitely better than Orange Sanguine. This is a perfume that seems quintessentially French to me. It captures the smell of an orange grove so beautifully but at the same time I can imagine a well put together Parisian, more Jane Birkin than Ines de la Fressange, walking the streets of St Germain, wafting this scent before meeting a friend for a lunch in a chic café. Fleurs d’Oranger is widely available in France in the 50 ml rectangular bottles. It is also sold at the Palais Royale store in Paris in the 75 ml bell jar or online in both versions if you live in the EU. Seville à l’aube has an exquisitely swoon worthy opening. On me this is an intoxicating blend of orange, honey, incense and a smidgen of lavender. Now the strange thing is that some people smell tortillas with this one. I don’t, but admittedly my experience with Mexican food is not that extensive. I know that Mexican cuisine is trending all over the world but not in the South of France, where non French food options are minimal at best. 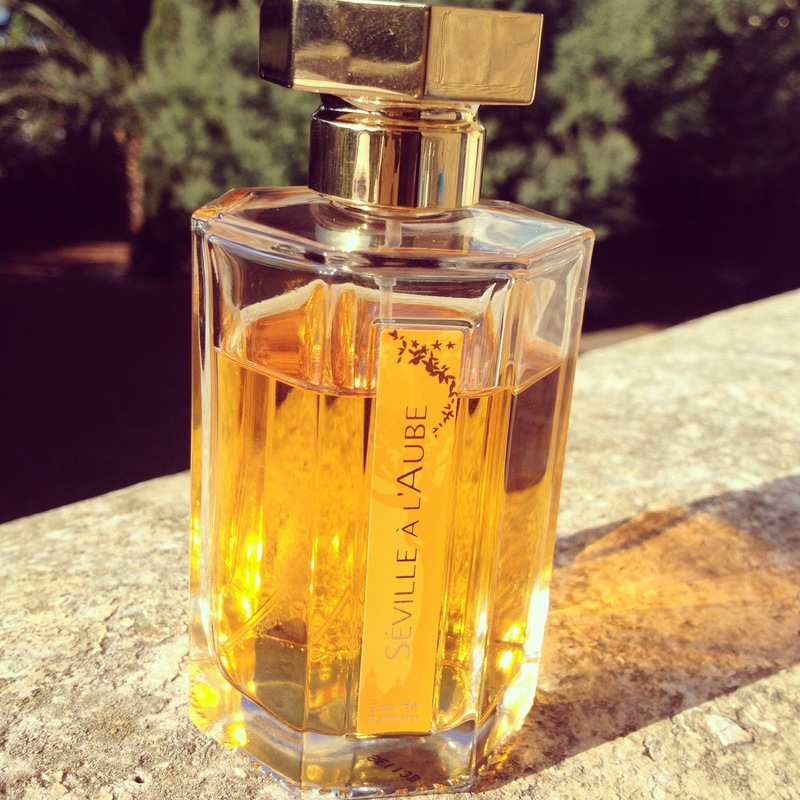 Seville à l’aube is created by Bertrand Duchaufour who in recent times has become the go to perfumer for French house, L’ Artisan Parfumeur. Denyse Beaulieu the writer behind the intelligent, bilingual (French and English) must read perfume blog, Grain de Musc is the inspiration and muse behind this perfume. 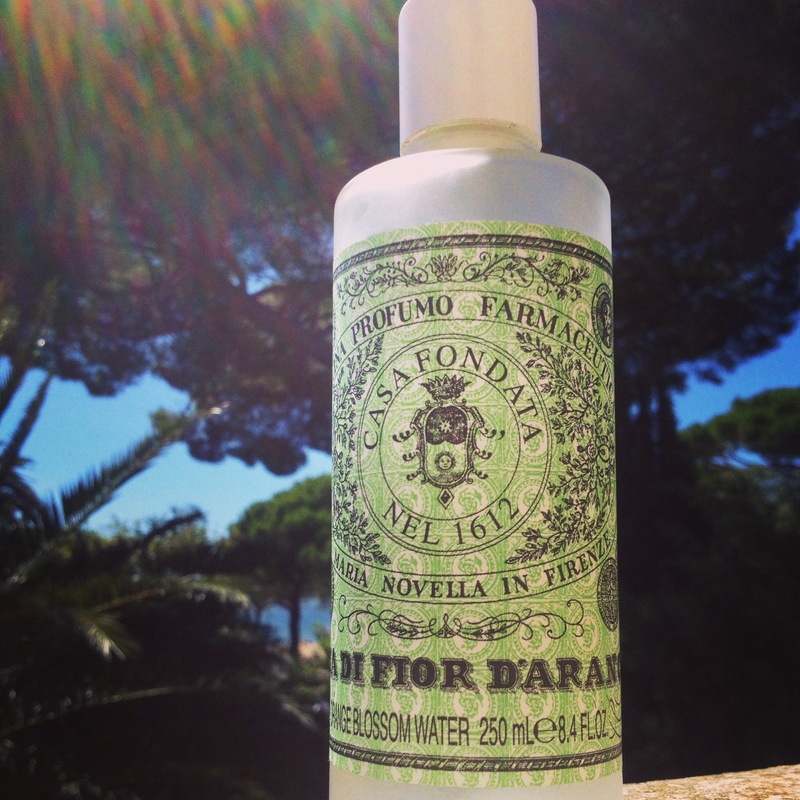 You can read the story of this perfume’s creation in Denyse’s book ‘Perfume Lover‘. It is a well written romp and stepping through its pages, you will glean all sorts of historical perfume knowledge as well as an insight into the seemingly monotonous modifications it takes to create a perfume. Seville à l’aube has a huge opening, a seemingly over the top concoction. This is not a medicinal take on orange blossom, instead it plays up the sweeter aspects. The beeswax / honey is quite potent in this perfume, so if you have a problem with honey I would steer clear. The honey is not deep, dark and rich as in Absolue Pour Le Soir from Maison Francis Kurkdjian, but has a golden sweetness, that mixed with the orange blossom makes for a treacly delight. The touch of lavender definitely offers an unusual touch and if you’re a lavender phobe, have no fear as it is used sparingly providing a nice lift. Incense adds a smoky accent and the orange remains a force all the way through and never at any stage veers into soapy territory. This perfume has a brazen sensuality and warmth. It’s rich and golden hued, a bit too much of everything but somehow all the pieces transform into an exotically beautiful perfume. It’s perhaps not as sultry a scent as the story promises, as there is a radiance and brightness at its core. I know that some find this too cloying and sweet but I lusted for it immediately after trying it on successive visits to a local parfumerie. Finally I succumbed and bought a bottle and have never regretted it. Seville à l’aube also has huge longevity and sillage on me. Expect to still smell its lingering presence the morning after the night out. Do you like orange perfumes / products? Let me know if you have any orange perfume favourites. Someone was so generous — and I loved loved loved the Selville a L’Aube> It’s my treat at night time and reminds me of evenings in the South of France. Deliciously indolent!!! Would love to try Fleurs de Oranger. Haven’t seen it here in NZ.